Click the button below to add the Mexican Washed Terra Cotta Tiles to your wish list. 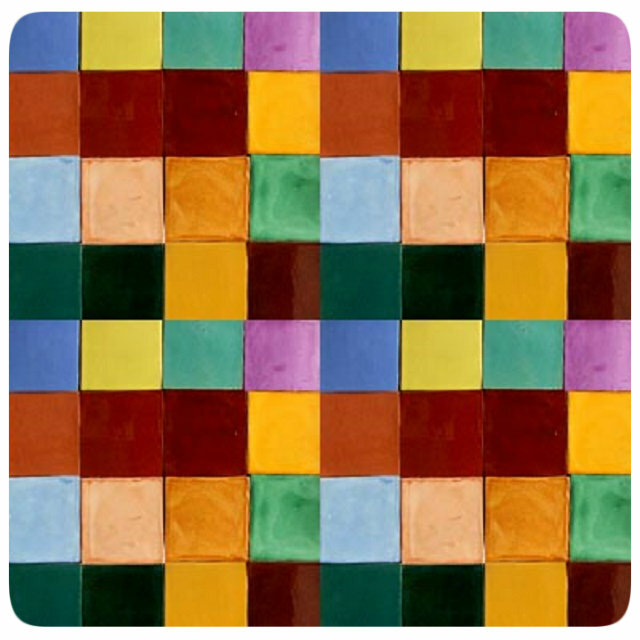 Rustica House brand talavera tiles #009014 are handcrafted in Mexico in solid and washed colors. Use these Terra Cotta tile for rustic home decor accents, counters, walls, stair risers and a kitchen backsplash. Since the entire production process is handmade some inconsistence in the handmade Terra Cotta tile color and pattern as expected. We recommend using a licensed ceramic tile setter for Mexican Terra Cotta tile installation. If you installing yourself, follow this general instructions: Identify wall center and mark intersecting lines. Begin spreading tile adhesive or cement in each direction. Begin installing mexican tiles '009014' one by one vertically towards the wall ends. The tiles on both ends should be of similar size. Firmly press them giving gentle twist assuring good contact with the wall. Because handmade tiles from Mexico is created by hand some size and shape differences are expected. Lay them about a 1/4 inch apart compensating for those discrepancies. If you need to cut, use a water saw. Next day begin grouting. Clean the kitchen backsplash wall, counter surface or your stair risers from any excess grout with a wet sponge. A short while afterwards remove any mist left on the tile surface.